Once in a while, my other country (I’m a dual US-French citizen) gets it right! The law approved by parliament was more limited in scope than initial calls by French environmental activists to make green roofs that cover the entire surface mandatory on all new buildings.The Socialist government convinced activists to limit the scope of the law to commercial buildings. This isn’t a first. 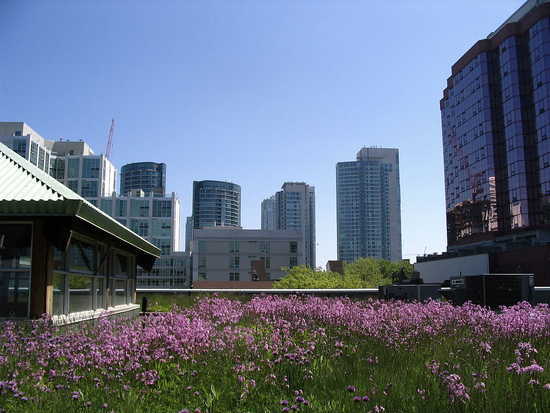 Places like Australia and Germany already have green roofs as a part of their urban landscape. Toronto has had by-laws since 1998 mandating green rooftops. (Thanks to the Daily Kos). This entry was posted in Earth and tagged green roofs. Bookmark the permalink.